Breaking down the most simple way to give back. 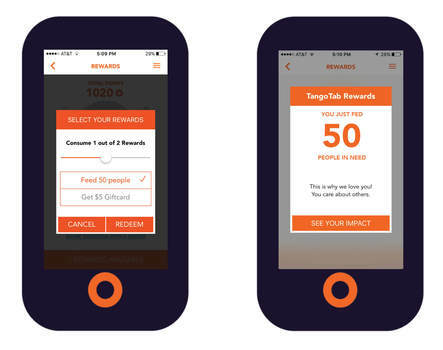 You are free to choose whichever you want; however, most people choose to feed 50 people with their points. When you choose to feed 50 people in need, we tell you how awesome you are for caring about others (pictured below on the right). ​We really do love you guys, and we’re inspired by your efforts to help end hunger!